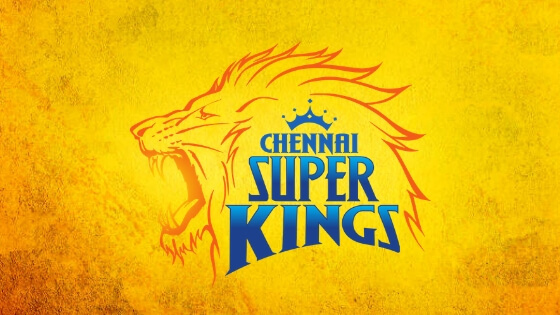 Chennai Super Kings, the three-times IPL winner is all set to play their 10th season, they will take on Royal Challengers Bangalore at the MA Chidambaram Stadium, Chennai on March 23, 2019. The Chennai-based franchise is the only team to qualify for the playoffs in every season of IPL it made an appearance in. CSK and playoffs, it’s a love story that never seems to end. Chennai Super Kings have a win percentage of 61.56% in IPL. The Men in Yellow occupy the second spot in terms of most wins in IPL. The MS Dhoni-led side also has won 3 titles which are the joint most with MI. CSK needed only two players to complete their team for IPL 2019. They bought two players in the IPL 2019 Auction and completed the IPL CSK team 2019. The CSK team bought Mohit Sharma (Rs 5 crore) and Ruturaj Gaikwad (Rs 20 lakh) and completed their squad for the IPL 2019. IPL CSK team 2019 is all set to play the IPL 12 season with 9 Batsmen, 6 all-rounders, 4 Spinners and 6 Pacers. Chennai Super Kings have a great balance in all 3 departments. However, the biggest X factor is the presence of all-rounders. With the likes of Shane Watson, Dwayne Bravo, Ravindra Jadeja, Kedar Jadhav amongst the ranks, they have a big advantage over any other side. Their only weakness could be in the spin department. Harbhajan Singh and Karn Sharma are the proper Indian spinners in the side. Both haven’t been at their best of late. Imran Tahir is the leggie but due to the restriction of only 4 overseas players in the XI, he might find it hard to find a place. CSK will start the 12th season of IPL at their beloved place – Chepauk. In IPL 2018, CSK played just the one game in Chennai and remaining home games they played in Pune. But the Men in Yellow return to their lair and are ready to roar. MA Chidambaram Stadium, Chennai The MA Chidambaram Stadium, Chennai is the third oldest stadium in India which was established in 1916. The stadium is named after the former President of BCCI Muttaiya Annamalai Chidambaram. This Stadium is the home ground of Chennai Super Kings team in the Indian Premier League and has the capacity of 50,000 people. It is situated in the locality of Chepauk, Chennai, Tamil Nadu.